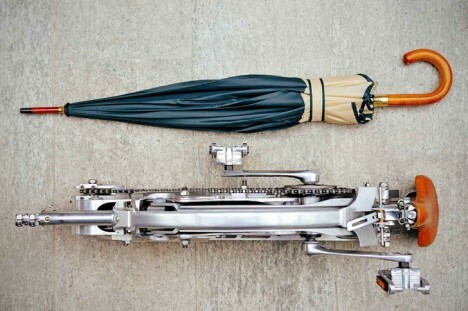 Few folding bikes can boast such compact proportions (even when fully collapsed) as this umbrella-sized wonder you can sling at your side or slide into your shoulder bag. 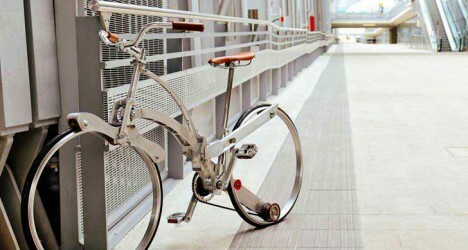 The Sada Bike bends the basic assumptions of bicycle design, but not in the same fashion as small-bike solutions. Instead of reducing the size of essential elements, which creates an awkward riding experience, Sada trades a rigid chassis and support-providing spokes for a jointed lightweight frame and reinforced rims that require less material. Experienced engineers will note their solution is not without its own unsolved questions, including the impact of putting weight along the edges of empty (even if rigid) wheel frames. 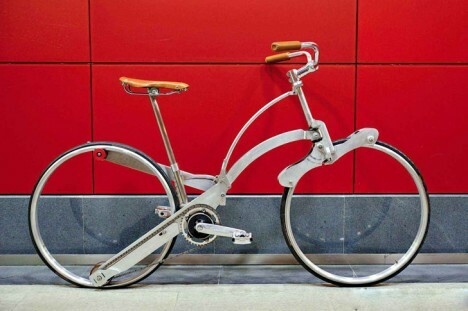 Still, it is a start – while their may be balance and durability issues yet to address, the concept calls into question the premises behind existing standard, miniature and foldable bikes and pushes the potential limits of urban portability. 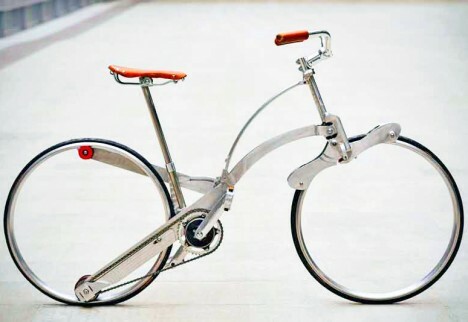 In critique of other existing approaches, Sada's creators note: "They have a small frame and wheels at the expense of stability, for the sake of compactness and portability during transport. The minimum size of the frame, in fact, penalizes the rider position while driving and the small size of the wheels significantly are affected by variations in terrain. 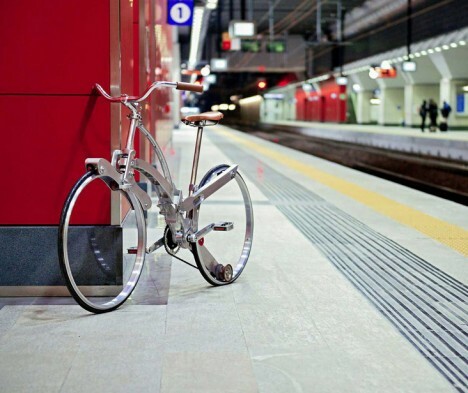 On the other hand, the traditional bicycles, avoid these problems, but the rigid chassis makes them inflexible during transport on public transport."